Home / How to Beat a Speeding Ticket / Is SPEEDING BAD? Think about what you know regarding speeding tickets. When was the first time that you ever heard of them? Maybe you were in your car with your parents when they got pulled over. Maybe you were taught them in kindergarten or in grade school. Maybe a local friendly police officer came to your school to deliver a lecture about not speeding. What do you remember learning? SPEEDING IS BAD! Now, try and remember back to those days right before you got your license. Do you remember going through a Driver’s Ed class from your high school? Did you take a class from a local DMV or read a manual? What did they tell you? SPEEDING IS BAD! Think about the last time you received a speeding ticket. Did the officer lecture you? Did the judge scold you? Did the insurance company raise your rates? What information does this reinforce? SPEEDING IS BAD! We are conditioned to think that speeding is unlawful and unethical from a very early age, and this knowledge is constantly reinforced throughout our lives. 1. Is speeding actually bad? 2. Why are we conditioned to think this way? In regards to the first question, the honest answer is yes and no. Obviously, driving at a higher speed increases your chances of suffering a fatal injury if you collide with another car or a roadside object. Faster vehicles are harder to control and take longer to come to a halt in case something suddenly jumps in front of you. Generally, the faster you drive, the more dangerous driving is. Obviously, this is not something that I advocate. Driving at an unsafe speed is pointless, only saves you a few minutes of time, and can endanger the lives of other drivers. But we need to consider the terminology here. Let’s say that driving in a way that increases the danger level of the driver and other drivers is unsafe driving. But is speeding always unsafe driving? 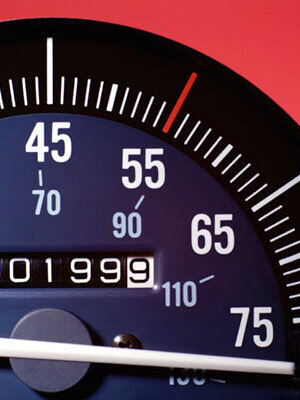 Speeding is defined as exceeding the posted speed limit, not being unsafe. Is the speed limit always the best indicator of what speeds are safe? Absolutely Not! If you drive 45 mph on an empty road where the speed limit is 30 mph, are you driving unsafely? The chances are that you aren’t. So, when you see those red and blue lights come on behind you, you will end up feeling picked-on and ripped off. So, unsafe driving is certainly bad, but if speeding doesn’t consist of unsafe driving, then it’s harmless. Still, we were conditioned from a very early age to think that all speeding is bad. The answer is very complicated and hard to pin down. On one hand, ingrained knowledge of the possible consequences of unsafe driving can save lives and reduce property damage. You can’t really argue with that. On the other hand, however, this ingrained knowledge can be used against you to justify charging you with outrageous speeding fines and penalties that are then used to fund private companies, city governments, and lawyers’ extravagant lifestyles! Because you’ve had the idea that speeding is bad hammered into your head year after year, you won’t think twice about writing that check. But maybe you should! Are you aware of how many other people benefit from your cost?